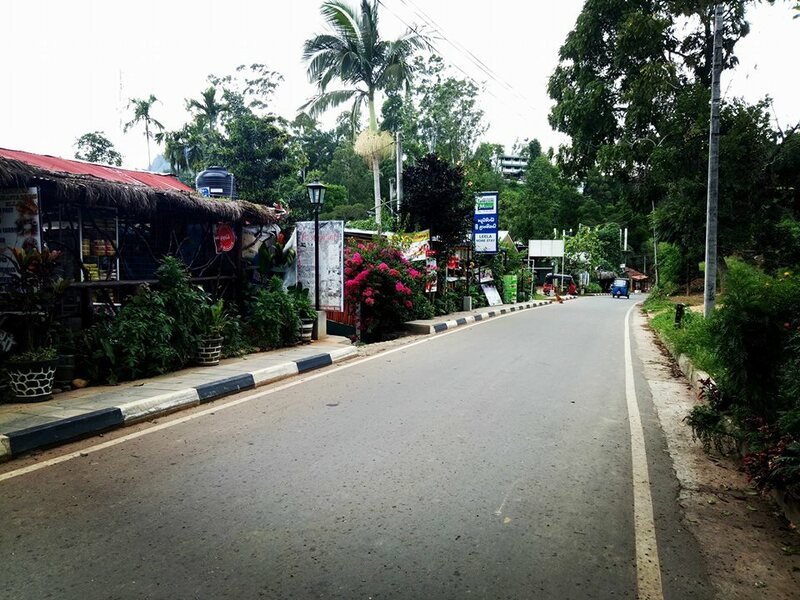 Arriving in Ella, I didnt know whether i was happy at the sight of all these backpackers and chains of crowded cafes along the main street. 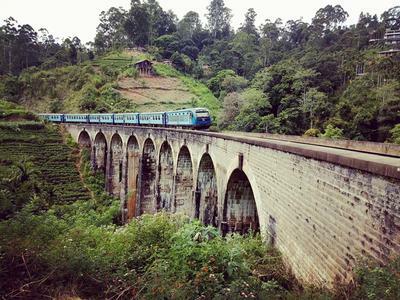 I headed straight for the train station to get my ticket to Colombo and I would be taking the Ella-Kandy-Colombo train which is known as one of the best train rides in the world. I wanted to make sure I got my window seat. I changed my hostel last minute and decided to stay closer to town at Sleep Cheap Hostel which was empty at first but became so busy as the days went on. The hostel was basic with an outdoor shower and toilet but the service was second to none. We had a free breakfast every morning, free tea and coffee all the time, and it was only 1000rps or 5euros per night. On my first day I went to a cooking class at La Ella Breeze which ws recommended by Maia and Rianne. I had the worst pedicure of my life in one of the salons there while i waited for my class to start. The class was almost private and it was just myself and a british girl called Rachel which was fun. 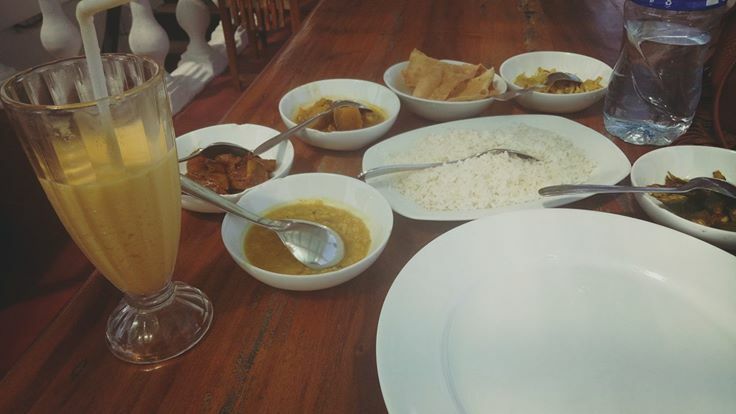 We made 5 different curries and had roti and hoppers (traditional Sri Lankan bowl shaped roti) and were completely stuffed by the time we had finished everything. 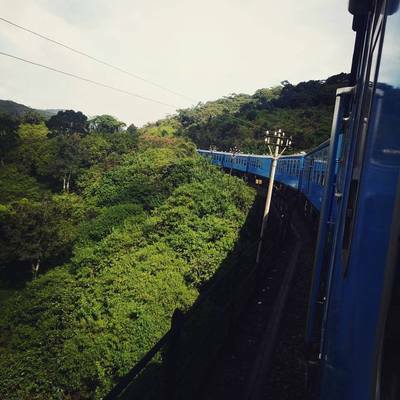 I headed to a bar called One Love Cafe on the train station road which had a very vibey rooftop with hammocks, a fire pit and the best cocktails in town. Rachel joined me later and we ended up meeting a bunch of people and drinking almost all the cocktails on the menu. The next day I had breakfast at the hostel with Fabian the only other person stayin wt the hostel. He was going to hike Ella Rock and I was meeting Eric and Careen also from Germany, who i met on the Sri Lankan backpackers facebook group. 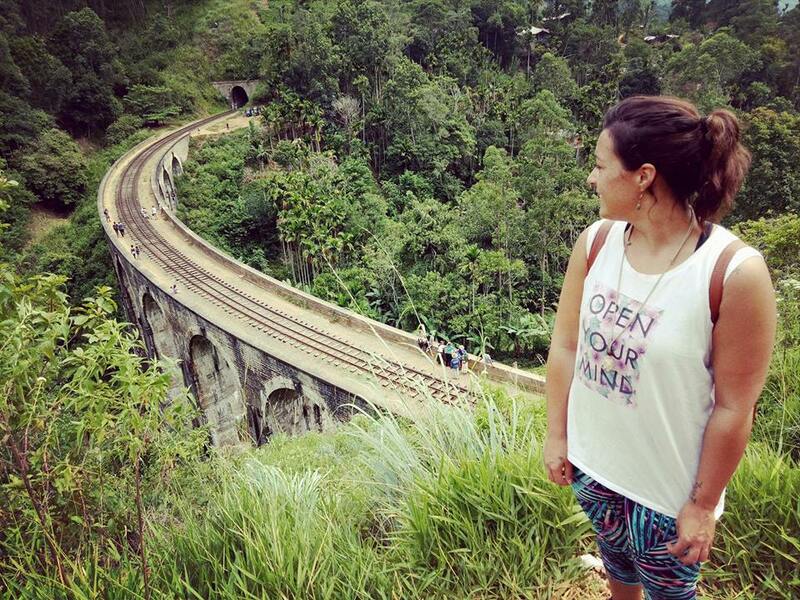 We planned to walk the train track (its the thing to do in Ella to get anywhere) to the famous 9 arches bridge and to see the train as it passed over. 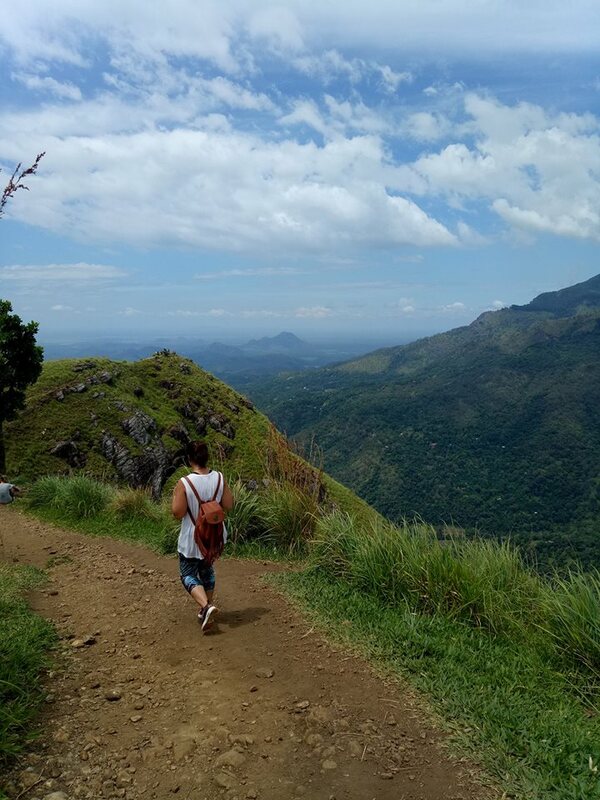 After this, we met two girls who joined us on our hike to Little Adams Peak which is one of the more relaxed hikes with as few steep stairs towards the top, but nothing too challenging. 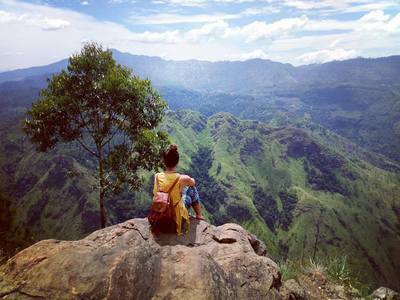 The views were incredible as we climbed higher and higher to get the full view of Ella, the tea plantations, the mountains and of course the soaring sight of Ella Rock looking over town. Later on we all went to Dream Cafe, one of the more western style cafes, which had really good food. Eric and Careen moved out of their hostel and joined me at Sleep Cheap which was actually recommended to me by Bastian and Koen. I was so glad i chose to stay there. It wasnt long before the place was full, I guess word got around that it was the best place in town and by the next day heaps of people were staying, even on the bed in the kitchen. 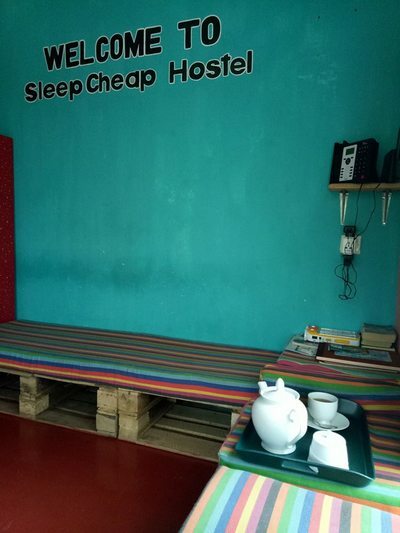 The great thing about this homely hostel is that although it is basic, they have such kind hearts, so much so, that if they dont have a dorm bed for you, they will allow you to sleep on the bed in the kitchen or the common area for free. There, I met lots more lovely people including Siri and Nina from Norway, who joined us to the Uva Halpewatte tea factory( www.halpetea.com/halpe-tea-factory/ ). We walked along the lush country roads for an hour and then climbed the steep hill for about 2kms to reach the factory. The tour was an hour and it cost only 300rps. ​The views were unbelievable fromt the top, and even though i struggled with a hangover, 3 hours sleep, raw blisters on both feet and no food in my belly, I enjoyed the reward at the end. The view over Mini Adams Peak, Ella town and the wide landscape of lush green tea plantations was enough to set Sri Lanka aside from many other places I had been. Breathtaking! 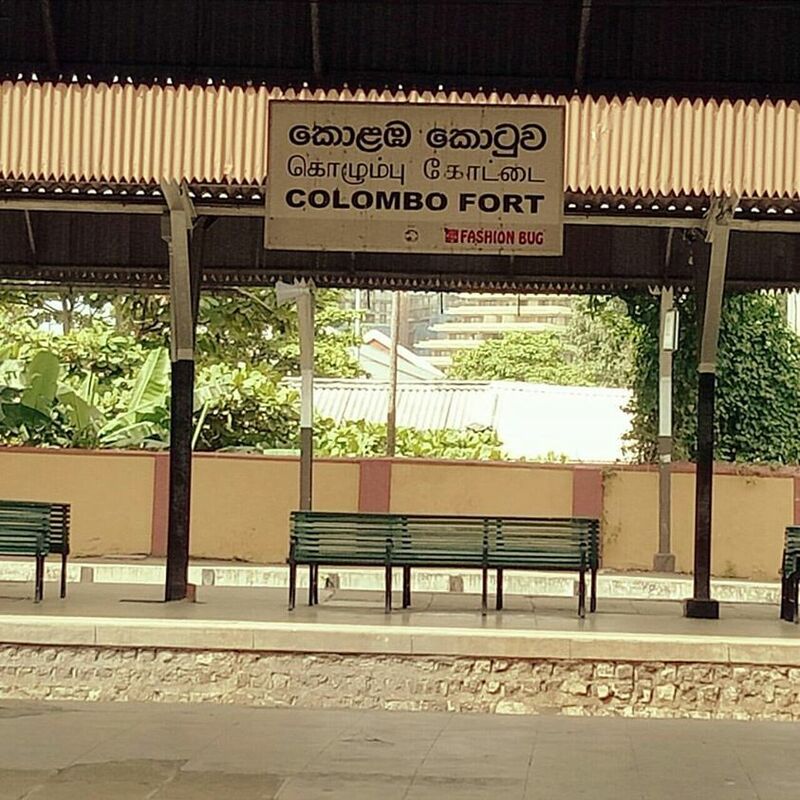 My last full day In Sri Lanka was spent sitting for 12 hours on two different trains and one bus until i reached Colombo Fort, the last stop of one of the best train rides in the world. I had reserved a second class window seat which was absolutely perfect, for the first half of the journey that is. The scenes out the window were like something from a fairytale. We soared high above the tea plantations, over bridges, looking down onto waterfalls below and in the distance. It was truly magestic. Until...... A fellwo passenger told me that we all had to get off the train and catch a bus to the next station. I didnt believe him, but when i was the last one left on the train, i believed him then. Another traveller told me he had heard that a train had fallen off a bridge and it was stopping us from passing that section but he wasnt sure. Either way, we were all ushered onto two tiny buses like a herd of cattle, squashed into every crevass of the vehicle. We held on for dear life as the bus sped around the sharp hilltop corners and finally got us to Hatton station. There I sat in three of the wrong seats in the wrong carriages until finally i found my section and could relax. Either the trains are confusing or im just easily confused. 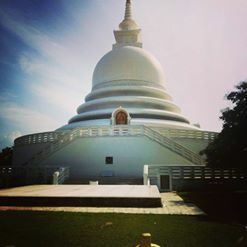 My last day would be spent in Colombo preparing for my next journey to Slovenia. I cant wait to share what this adventure will bring. It is coming to the end of the trip and I cant believe how much ive done in 10 days. 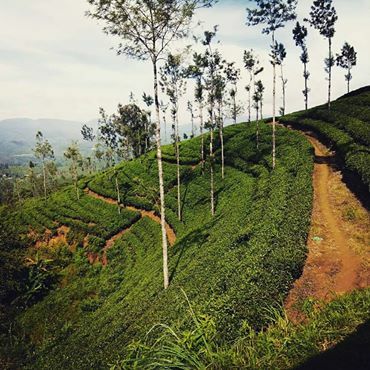 Thinking back to all the fellow travelers I met, i cant help but grin from ear to ear, not to mention that im writing this post sat on a train swirling in and around the tea plantations of countryside Sri Lanka. Arriving In Mirissa, the first thing i did was hop off the bus, find my hostel and sign up for beer pong that evening, as you do. I spent the day exploring and checking out the beach. I had a cocunut and grabbed a sun lounger but unfortunately the sun was playing hide and seek for my two days there and it was a common occurence to jump up and run for shelter when the rain bucketed down. I ran into my room mate Sally from China and decided to go and have some food overlooking the ocean. We had super declicious sea food and we were even served by an Irish girl whod been livign there 7 months. We went down the beach to the coconut place again where i had been earlier, and the small old man who had chopped open the coconut for me gave me the friendly 'Youre back' look. 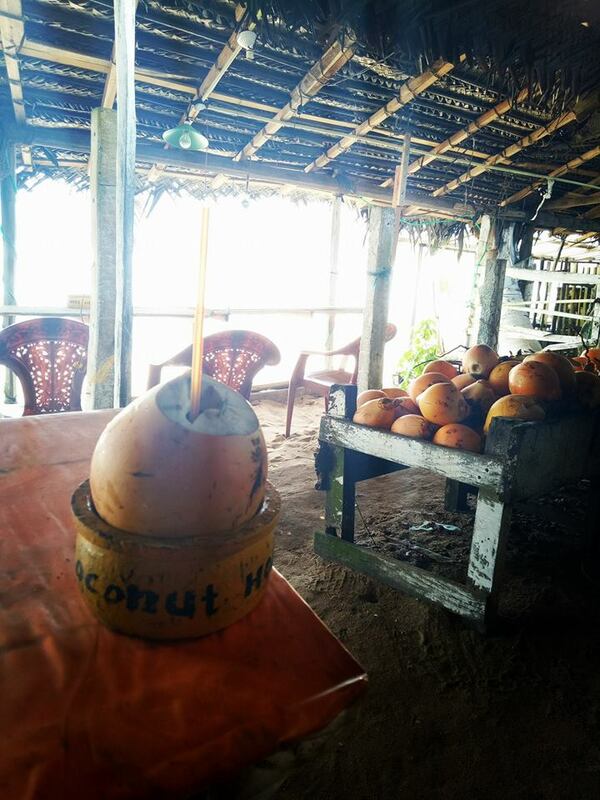 He chopped open two more and placed them in the special 'coconut holders' for us as we sat on the bench facing the beautiful ocean. Sally was such a sweet girl with great travel plans ahead of her and we chatted about our experiences and she told me funny stories about her experiences in Sri Lanka. I had even encouraged her to sign up for beer pong too. That evening we geared up for our beer pong tournament which turned out to be so much fun. 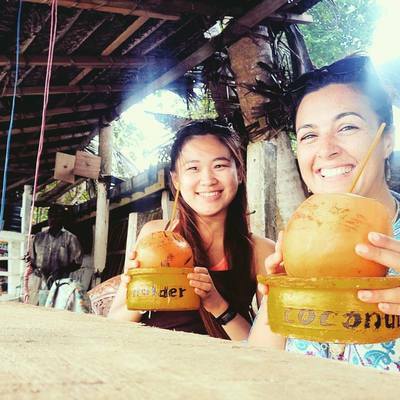 We met some great people, drank local beer and copius amounts of the local spirit arrack. 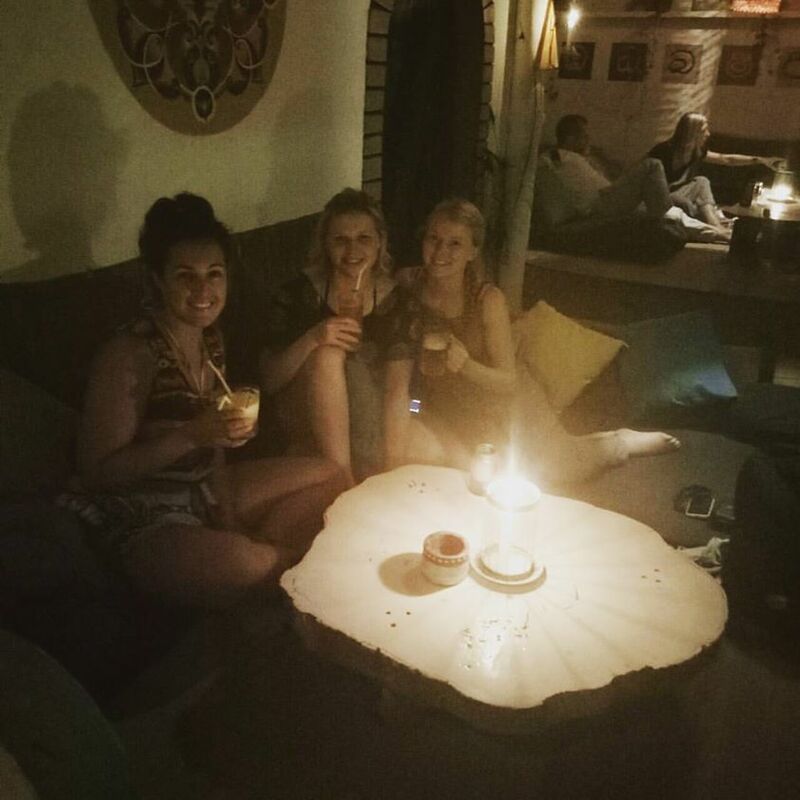 My first night in Mirissa was a pretty great one at Hangover Hostel. I could see why it was called that now! The next day was my last day and considering the weather was even worse, i was wishing i had of left to the quaint mountainside town of Ella a bit sooner. 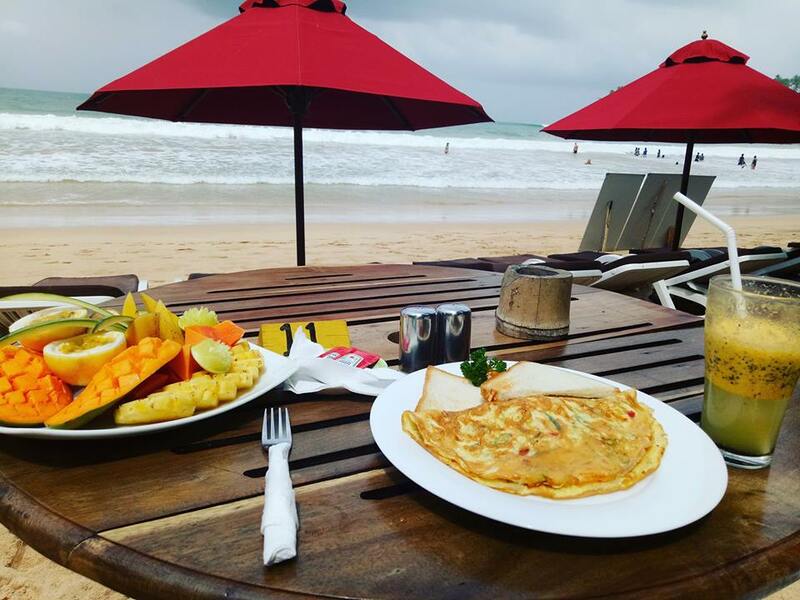 Nevertheless, I headed out for breakfast on the beach- the sun stayed shining for me luckily. I ordered an omellette and a fruit platter which turned out to be enormous. I ate as much of the goodness as i could before laying on the sun loungers on the beach. Within an hour or so, the familiar situation of jumping up and finding shelter, happened again. Along with every other sun worshipper, I took shelter under an umbrella until the sun came out again. Unlucky for me, i relaised my favourite flip flops had dissappeared, I assumed the ocean had robbed me. So needless to say, I wandered around town barefoot the rest of the day. I ran into Koen and Bastian, two guys I met the night before at beer pong and we had lunch together. We watched as the rain came pouring down and when it stopped, we headed to the main street to wander some of the local shops where i got a few bargains. We then decided whats better than playing a good old board game on a rainy day in a beach town, so we went back to thei hostel and played scrabble. The day wasnt complete without my banana/chocolate roti fix. I then said goodbye to the guys and had an early night. 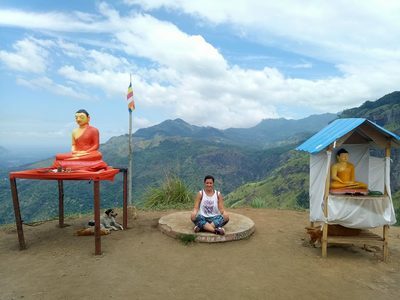 ​The next day I would take an early local bus to the city of Matara followed by another bus taking me to Ella where i would spend the remainder of my trip. I was so excited to make my way to this highly recommended town. I was so excited to have met two girls to hang out with. 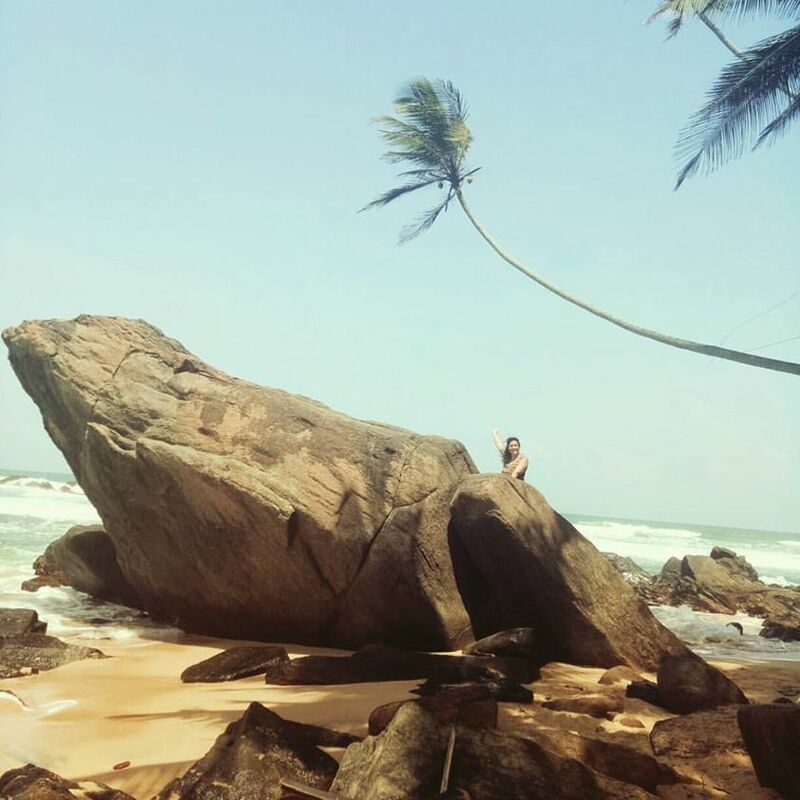 The planned to go to Dallawella beach close by which was supposed to be beautiful and was complete with a rope swing and a perfectly situated palm tree for those perfect pictures. The day started off rather frustrating though. It all began when we went to Queens Art Cafe to have some breaky which was recommended in the guide book- I soon learned not to trust the guide books in low season though. After ten minutes of being sat in the cafe, there proved to be a massive language barrier between us and the waiter to ended up telling us that no indeed they didnt have any food of any kind that day only juice and coffee. 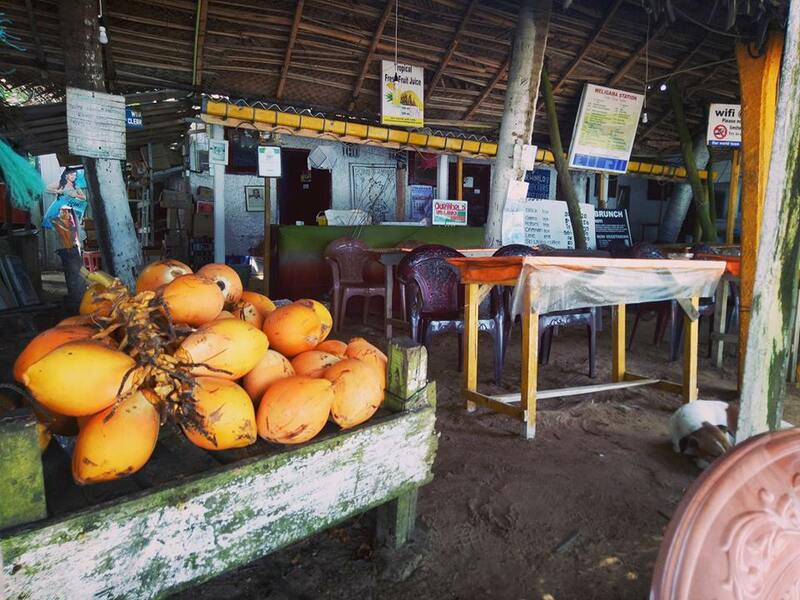 We headed to another place on the beach which seemed to offer a great breakfast package of sorts for a reasonable price. Unfortunately they ran out of baked beans and the pacjed eggs were indeed just a poached egg/hard boiled egg on a tiny square of bread with half a slice of tomato. Needless to say I came out of there 770 rupees down and more hungry than when i got there. Surely things would get better! ​So then it started to rain.... but nevertheless we powered through and were determined to see this beautiful beach. The rain stopped and within ten minutes we were dropped at the side of the road to find our way through a hotel to Dallawella Beach. Completely horrified we looked at the ocean, like an angry monster battering the waters edge. It was one of the roughest seas and highest tides id ever seen. There goes our opportunity to tan on the beach then. We sat and had a drink indoors and then decided to take the super convenient bus to Welligama which proved to be slightly better but still not what we imagined. 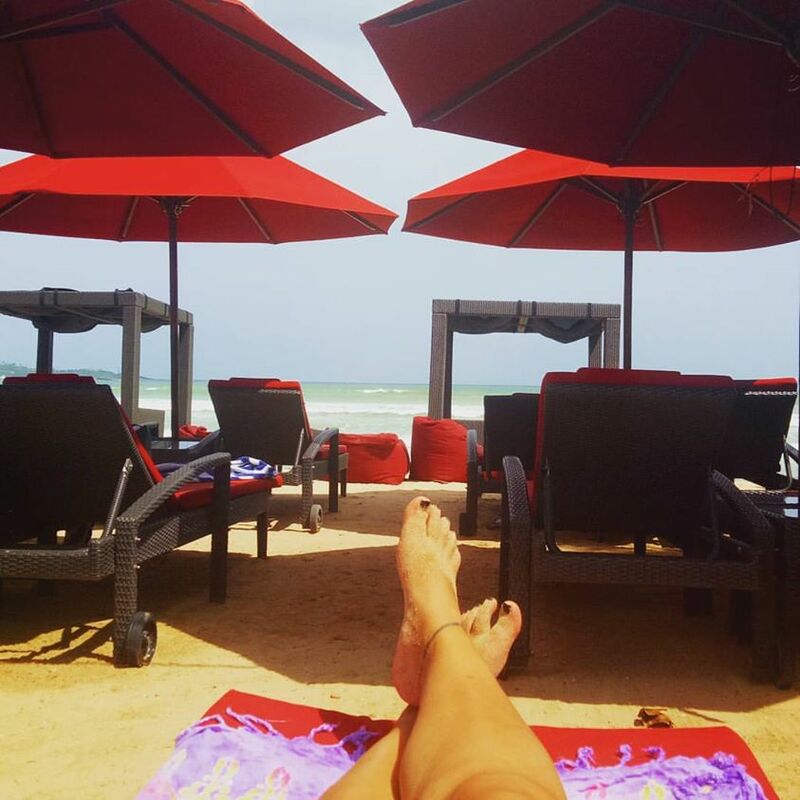 We walked towards the end of the beach and found a resort with a pool and beach side loungers. We propped ourselves up onto these beds, made ourselves comfy and then ordered a very overpriced drink. 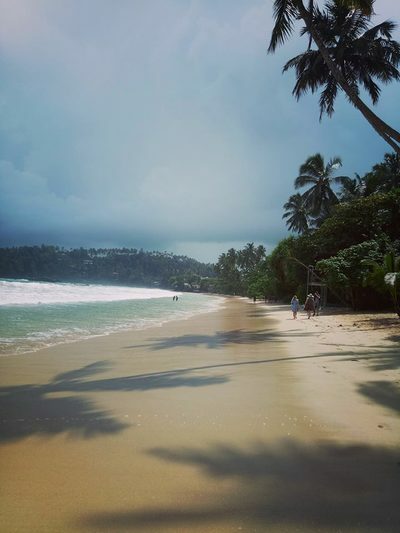 After a few hours of chillaxing and soaking up some sun through the thick clouds, we walked 15 minutes back to town and took the bus back to Unawatuna. At this rate you can imagine how hungry we were. It was after 6pm when we finally ate at Jinas Vegan and Vegetarian restaurant but although i was in love with my ABC (Apple Banana Coconut) smoothie and falaffel plate, Rianne had a really bad burrito. It was KohaSurf Lounge that saved the day for us, we stopped by on our way home and had a cocktail as we sat on floor cushions surrounded by good vibes and reggae music. Needless to say it was a day of unpredictable adventures and laughs. 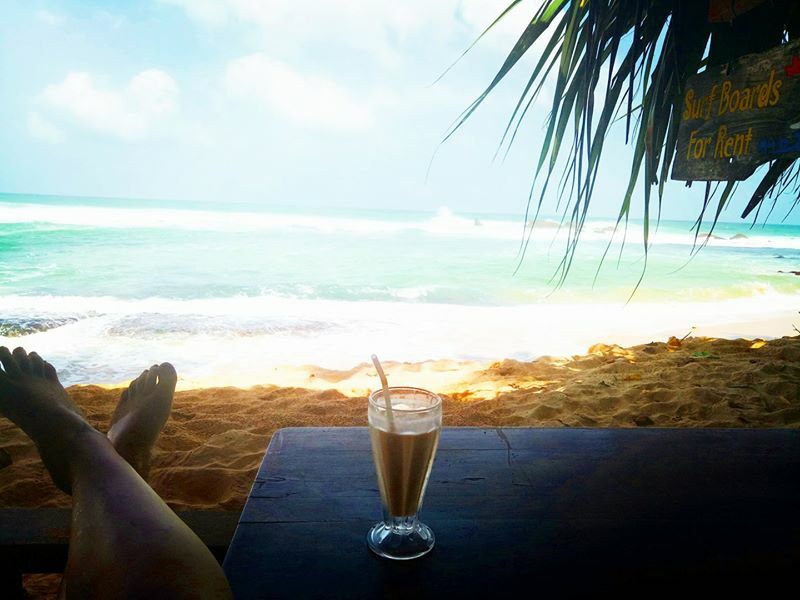 ​When nothing goes right- go left- to the cutest bar in Unawatuna! 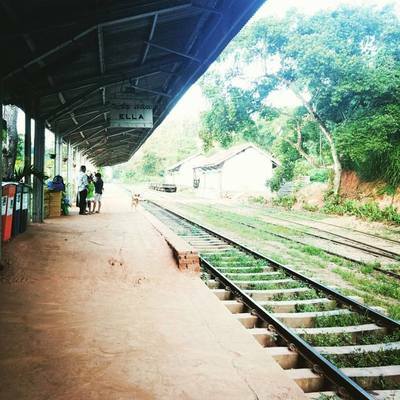 Taking the train to Galle- the fort city, was as easy as pie. Well, I say that now, but if it hadnt of been for the local man who took me off the train going east to Kandy, and putting me on the right train going south, this blog would be a lot different now. One thing i noticed about Sri Lanka, is that the people are so friendly. They are genuinely friendly, not looking for money friendly. I walked to the station close to my hostel and with just one bag with me it was super convenient in the 30 degree heat. I first met the man- Jenta, when we chatted entering the station together. I paid 100rupees or 50c for a ticket for the 3 hour journey and proceeded to buy some water and a bakery treat for the ride. I lost him. I went and sat on the train i assumed he got on (he was going to Galle too) but minutes before the train left for Kandy, he found me and we laughed as he reminded me that this was a different train and I needed to get off immediately. Luckily, as soon as i stepped off the train, it was gone in the blink of an eye. We sat together on the train to Galle and chatted a bit but he wasnt annoyingly talkative like I was hoping, as this was one journey i wanted to really take in. He pointed out the window as we drove along the coast right on the oceans edge. I was utterly shcoked that i think my jaw actually dropped when i saw the view. Now i knew why this was such a reccomended journey. When i got to Galle, the man appeared again beside me on his bicycle making sure i knew my way into the forts main gate. Then he was gone! I headed towards the lighthouse and walked around the small town which was orinally built by the dutch, it had so much history and character, all of which i was looking for. Locals greeted me as i wandered around the narrow cobbled streets admiring the view. 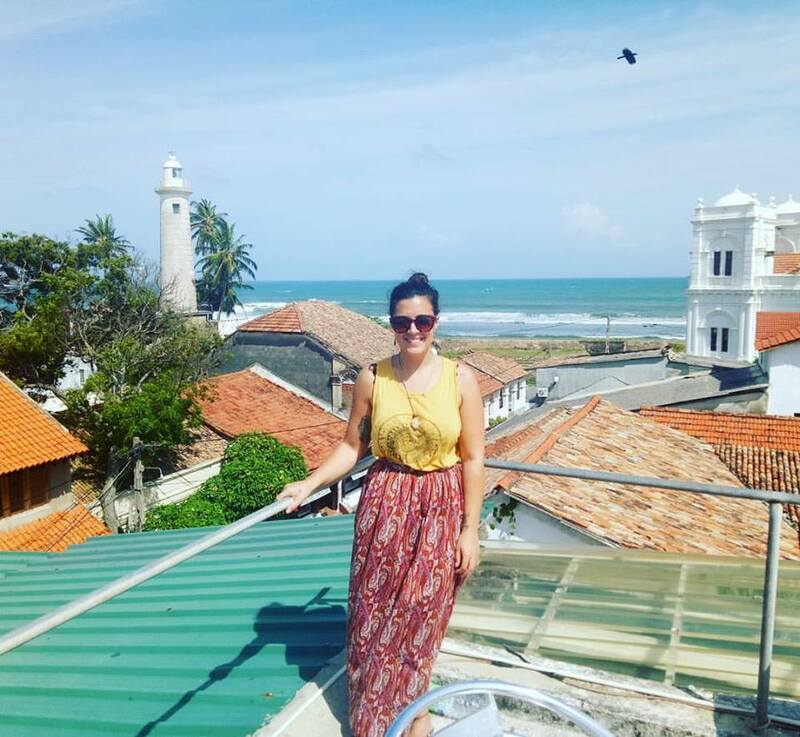 I had a rooftop lunch at the recommended cafe of Mamas Rooftop Cafe which had a beautiful view and delicious Sri Lankan Curries. 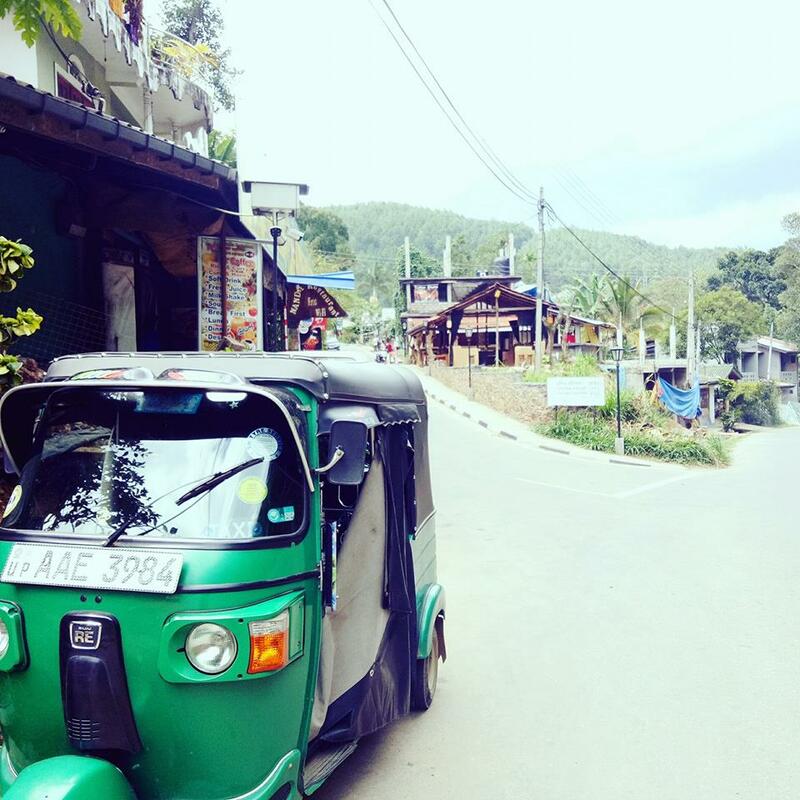 I then took a tuk tuk driver up on his offer to show me around and then take me the rest of the way to Unawatuna where i would stay two nights. For 400rupees or about 2euros, he showed me the sights including the historical buildings in the fort, the scenic view overlooking jungle beach, the japanese pagoda and even gave me some sound advice about Unawatunas 'Beach Boys' as he stopped to buy me a bag of fresh lychees. 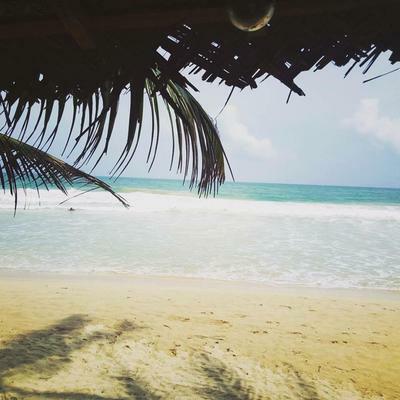 ​Unawatuna was known to have had its hey day a few years back, before the beach was ruined by property developers and such, but it wasnt the world beach id ever seen. I spent the afternoon wandering the beach and had some food at a beach restaurant at sunset. It was pretty dead everywhere considering the low season so i headed back and ended up chatting with my british room mates Maia and Rianne and making plans with them for the next day. 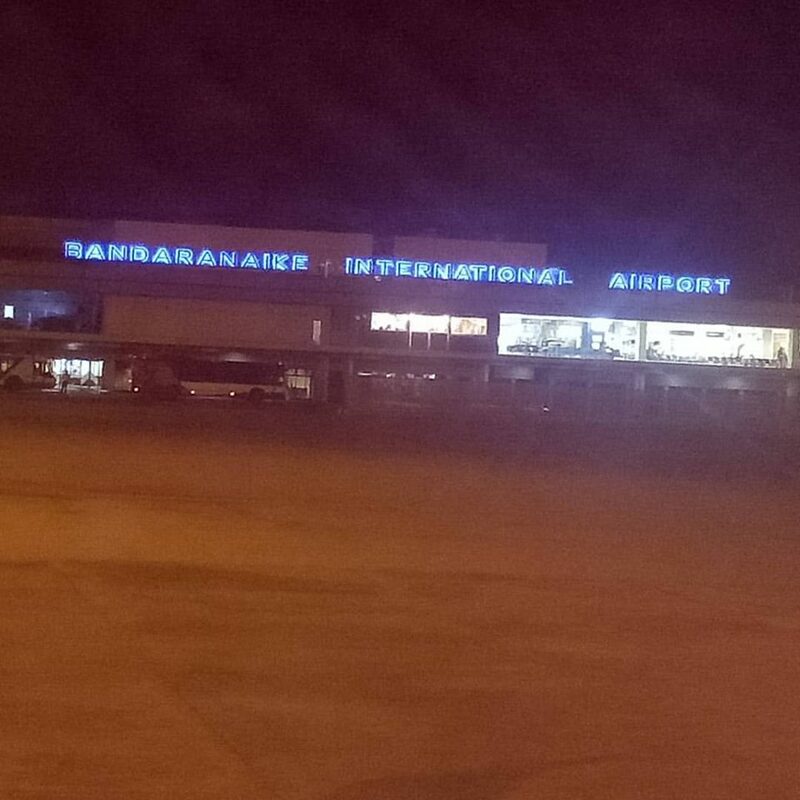 Arriving in Colombo I was greeted by the insane ​humidity as I left the airport to find some transport. I tried to find a bus which wasnt running at that time so ended up getting a taxi which was $10 as opposed to 0.75c on the bus. It was one of those moments where I would have paid anything to get to the hostel, change out my jeans and shower. 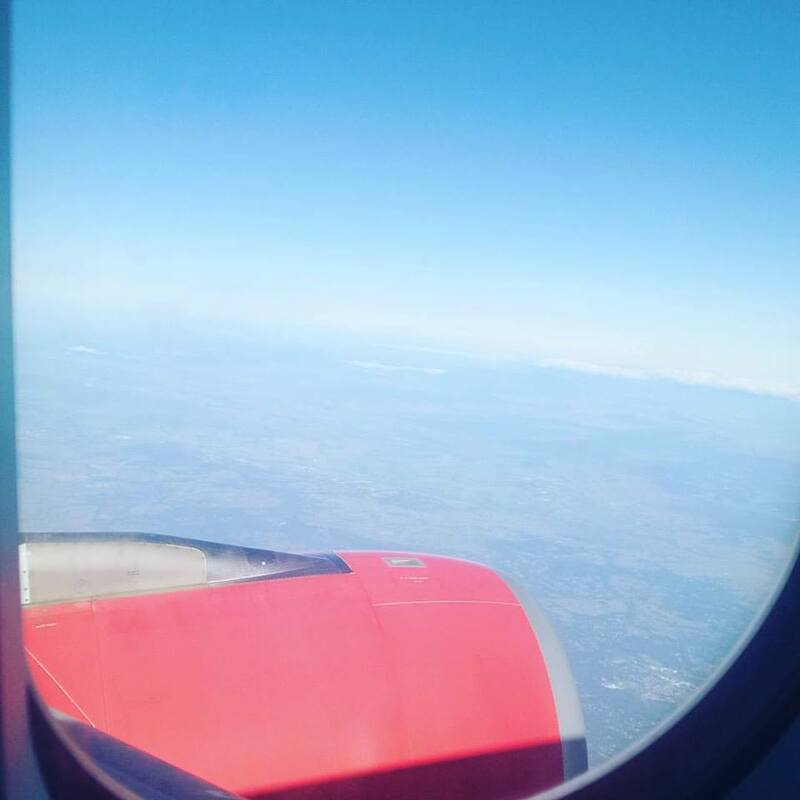 ​But back to the flight- The first flight had been 8 hours long and I was super exhausted. 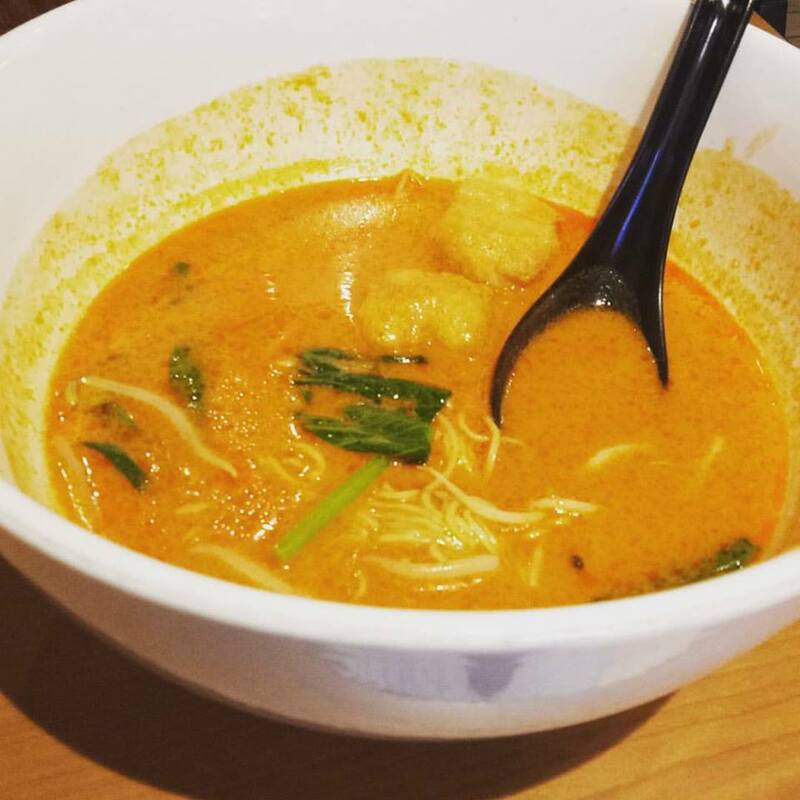 I had met a Canadian guy in Kuala Lumpur Airport who was flying to New Zealand and we bonded when I asked him to watch my bags and my curry noodle soup (I had been given no food for the whole flight) which I so excitedly ordered, when I overheard an annoucment which i thought was last call for my flight- I was wrong. It gave us both a laugh and after we finished our noodles, we headed for the bar, as most travellers do, and made use of happy hour until i had to leave to board my flight- pretty tipsy indeed. The second flight was spent completely knocked out and three hours seemed to fly by- literally. Sleepy and slightly hungover, I had arrived to Sri Lanka- country 68.
the friendly and calm local man drove me to the city within half an hour and circled around to find my hostel. I was surprised when I got to my hostel the 'city rest fort' right by the train station, and was greeted with bellboys taking my bags, fresh cold towels and fresh juice on arrival. They even agreed to let me leave my backpack there until I returned at the end of my trip. Winner! I showered, headed to bed and slept for a full 8 hours until morning when I woke up, repacked my smaller bag for the trip, got ready and had some free fresh breaky! 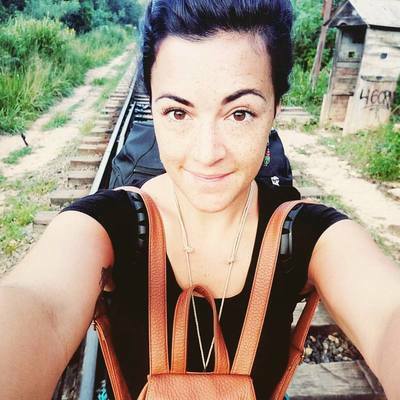 I stored my bag and headed off to the train station! 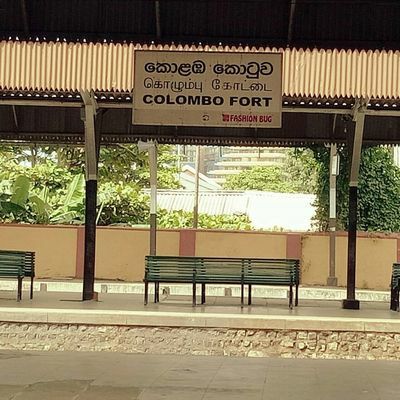 I was heading to my next stop of Galle the fort city.